God, be in my mind and in my understanding. Let your thoughts be my thoughts. Let your words be my words. It is hard to change the way we think. Proverbs 4:23 reads “above all else, guard your heart, for everything you do flows from it.” Your heart/mind affects your actions and the way you relate to others. Read Philippians 2:2. How is your family “of the same mind”? Are there times when selfish thoughts can be replaced with humility this week? Romans 12:2 speaks of transformed, renewed minds. 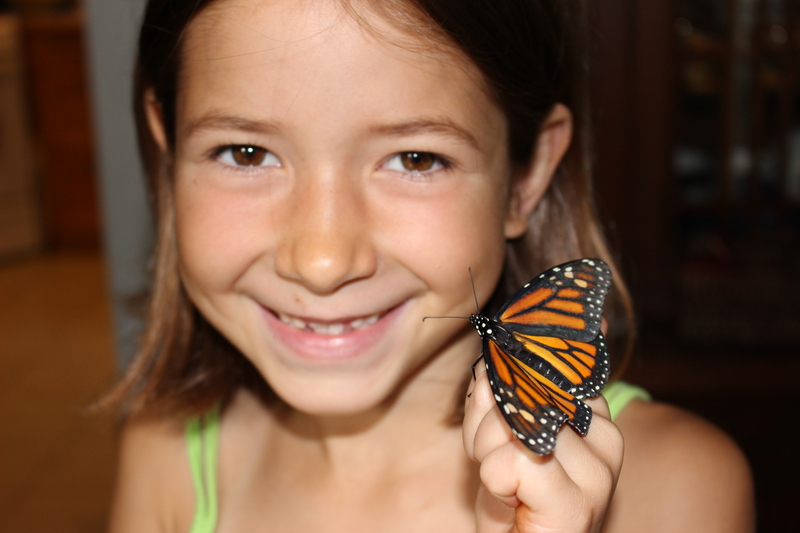 Every summer, our family collects monarch caterpillars to watch the transformation to chrysalis, and then to butterfly. It’s a total transformation – the creature is not the same as it was before. How are you allowing God to transform your thoughts? 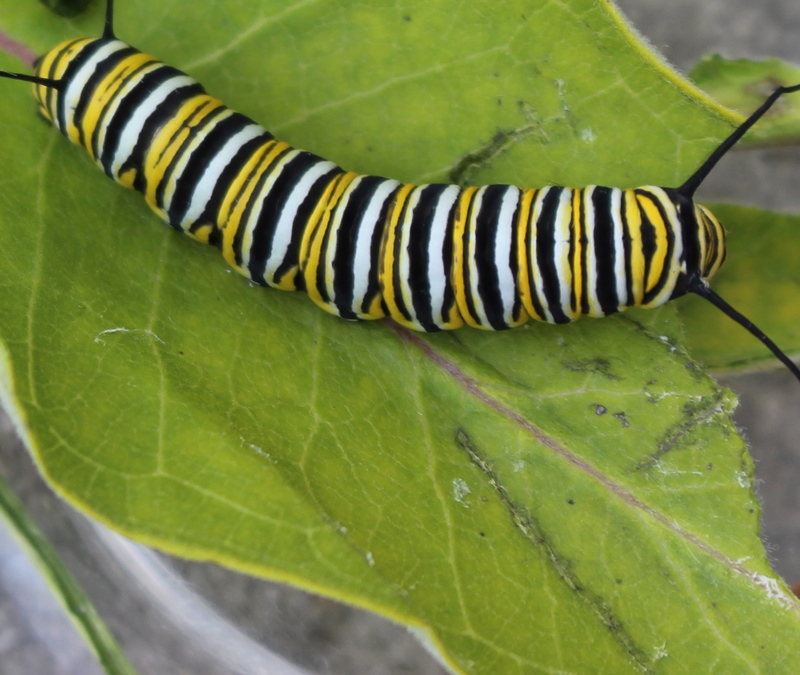 If God can transform a little caterpillar, surely God can transform our thinking patterns too! This week, try to notice how your thoughts affect your moods and your actions. Experiment with changing your thoughts to be more in line with Christ. Is there a negative thought you could swap for a positive one? I can love my sister/brother/friend as myself. Do not let my heart be troubled. Another way that we can try to think like Jesus is to read scripture together as a family. Try to set aside time this week to read the Bible together. In an article in the Canadian Mennonite, Bruce Hiebert talks about “schemas” that our brains learn – frames of reference that help us to make decisions. Hiebert exhorts us to fill our brains with the Bible’s “stories, its poetry, its teachings and its laws, and when you are facing your world of onrushing stimuli, the Bible will be there for your brain to use, providing schemas by the handful, allowing your sloppy intuition and stereotypes to root themselves in the divine truth embedded in the schemas of Scripture.” Reading the Bible is good for our minds. Try a breath prayer, where you choose a short phrase that you say/think as you inhale. It could be as simple as “Loving God.” As you exhale, think of another short phrase, like “be with me.” Take at least 10 breaths like this, focusing on these words as you breathe in and out. Try this at school, at work, at home, or anywhere you feel your thoughts getting away on you. Tags: breath prayer, butterfly, caterpillar, children, devotion, family, Philipians 2, prayer. Bookmark the permalink.